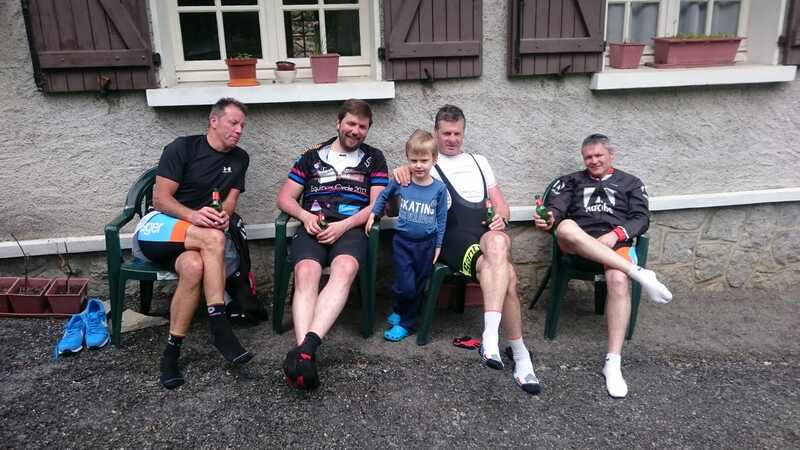 I rode to Col d’Aubisque with some guests from Pyrenees Cycling Lodge. The road was only open a few days so it was my first opportunity to get up there this year and the first time on our new Lapierre Rental Bikes. 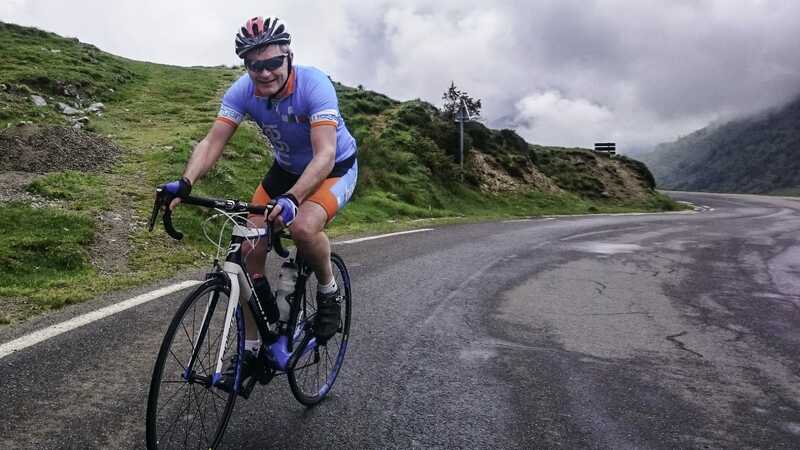 It really is the most wonderful route, an unmissable ride for any visitors to the mountains and one that all cyclists should have on their to do list. The weather was not fantastic but it was ok and with opportunities few and far between in what will be a very busy summer for us, I had to go. Despite the cold and the mist I loved every metre of it. Beautiful rural environment, quiet roads and when the mist occasionally lifted spectacular mountain scenery. From Saint-Savin it starts climbing rather sharply, the first 7km give a great warmup. There is then an easier 7km section to Arrens from where the steep ride to Col du Soulor kicks up. 7km @ 8.3%. A most wonderful road and part of the original Tour de France stage through the Pyrénées in 1910. 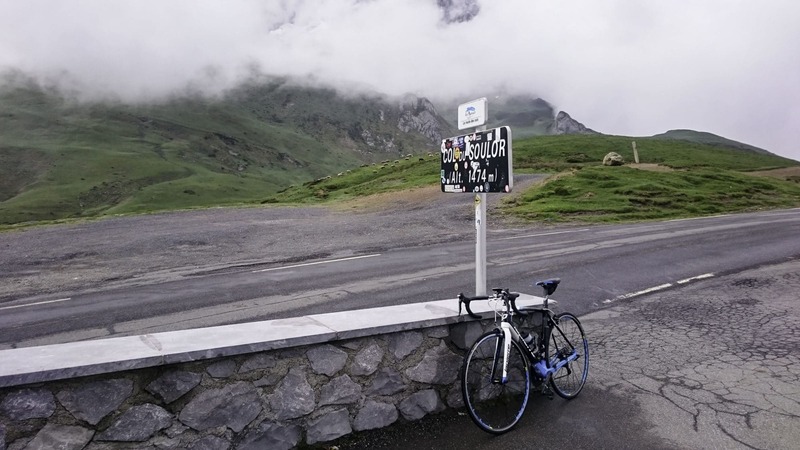 The 10km between the Soulor and Aubisque is an easy ride, all the hard work is on the Soulor. This road, Cirque du Litor is a truly epic ride, scenery does not come any better than this. Only the last 2km to Col d’Aubisque present any difficult. With 1km to go we were passed by Matthieu Ladagnous of Team FDJ who despite not being renowned as a climber was going like a TGV. There were 4 cyclists from Ireland and 2 from Canada. That’s the best thing about running the cycling lodge, all the great people we get to meet. Paddy Moran was one of the Irish group, a top Gaelic Footballer in his time. Paddy played on the Dublin team which won the All-Ireland Senior Football Championship in 1995. For those who don’t know what that is, it’s like Super Bowl or the FA Cup. Paddy Moran arrives at Col du Soulor. 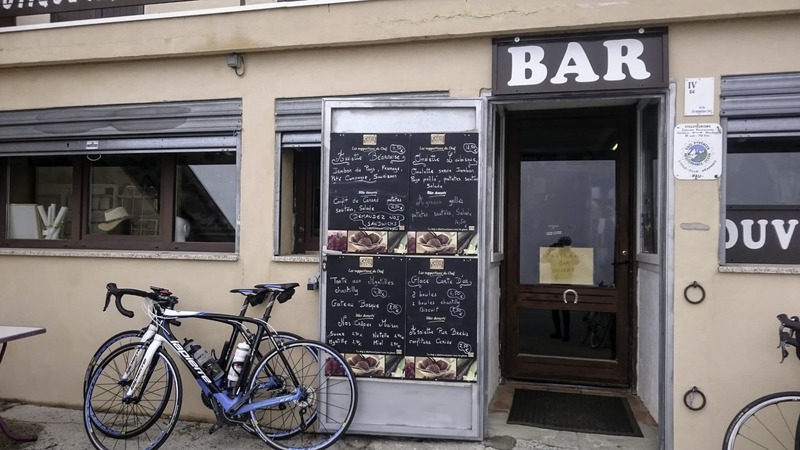 Any ride to Col d’Aubisque has to have a visit to the cafe. It is wonderful! Really great people and great food. 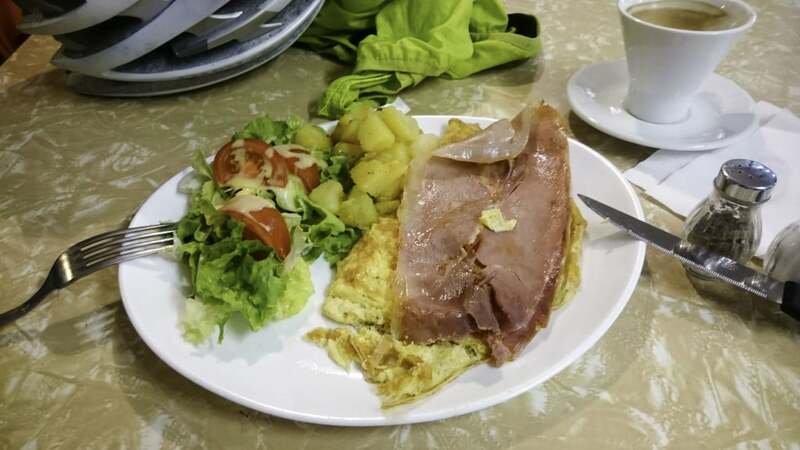 Omelette d’Aubisque is the ideal cyclist lunch. Follow it with coffee and Gateaux Basque. Yum! Omelette d’Aubisque is brilliant. Just what a cyclists needs.